We don’t want to waste your time, as on the internet you can find numerous articles on how to prepare a CV and hundreds of examples. But we still think that there is something missing in these articles, which is why we have decided to write a detailed and clear guide. Nearly every person who has graduated from school or college, or who just wants to change career paths, experiences the many peculiarities connected with writing a CV. Have you ever felt those feelings of disappointment where you know that you are a good candidate for the desired position, but you don’t know how to “sell” yourself? Do you want to know how to write the perfect CV that will convince the reader that you are the best match? What should you do to stand out from the crowd? In the following article we have attempted to explain all the steps and points you need to consider on the thorny path of creating the best CV ever. A CV (Curriculum Vitae) is a piece of writing, two to three pages long, that specifically lists qualifications and background information that will motivate the reader to continue the conversation of employment with you. A CV can help you tell about your experience and education in a way that can’t be shown with the help of other documents. If you are looking for your first job, returning from maternity leave, wanting to change careers, or wanting to work as a consultant or publish a book, you will probably need a CV. Usually recruiters spend about fifteen seconds looking through your CV, and if it catches their attention, they will read it more attentively. A professional recruiter doesn’t need much time to filter out good CVs in a huge number of candidates and decide whether the person is suitable for the interview. A well-crafted CV may become a golden ticket to the desired job. A CV is an important tool in the recruiting process. A CV can help the prospective employer realize whether the candidate will fit the vacancy or not. What does it mean to “fit”? The employer needs to understand whether you will be consistent with the spirit of the company, share its values, and whether you will cope with your future responsibilities. If you are going to graduate from college or university in the near future, it’s already time to think about creating the CV. It will help you concentrate on your career, define missing skills, and set the right goals. For summer jobs and internship. When applying for postgraduate positions. Applying for fellowships and grants. Positions in agencies and consulting. Let’s start with the fact that a CV is not a resume. A resume is a short summary of your experiences, skills, and education. This document is frequently used during the recruitment process for job positions. It is commonly composed on one page (rarely two pages). CVs are usually used to highlight your academic background or describe certain skills that are important for a certain job position. In a resume you will need to cut all unnecessary information and details, while a CV gives you an opportunity to describe all information related to your professional experience and achievements. While these two documents are different, it will be better for a candidate to have both of these documents written. Information in your CV can be organized in several ways. They are usually distinguished between chronological, functional, and combined CV structures. This type of organization will be best for those who have experience in a certain field. With chronological structure you can show the progress in your career and highlight responsibilities at each position. If you have no significant achievements, but you have changed several jobs within one industry, make a job-by-job description. Then list your skills and hobbies related to the vacancy. This type of CV won’t be a good choice if you are planning to change careers and have no relevant experience in the required field, or you have gaps in your career. For this type, you put emphasis on your skills, personal qualities, and achievements. In this CV you will need to list your skills from the most important to less important, considering the requirements to the particular position. You won’t need to focus on a certain job. Instead, you need to describe your experiences and detailed achievements. After this section, you need to briefly list your previous jobs with dates and tell about any relevant hobbies or interest in the final block. This type will be a good choice for those who have changed many jobs, who have gaps in their career, or when they have decided to change career direction. On the other hand, recruiters are more suspicious about such CVs, as they look like you are hiding something. This is a mix of the two previous formats, and combines the best of your career progress and highlights your strengths. It will be more lengthy than the other types, but it will cover all of your history and experience. It won’t be suitable for those who have little experience or for those with career gaps. Every CV is unique. But you may feel disappointed with questions on where to start and what you need to take into account while creating your CV. Here we will give you general guidance on how to make CV for job applications. Also, these recommendations can be applied for creating a resume. Just consider that you will need to leave only important facts and cut all details. Before you will be ready to write a CV, you need to prepare for job hunting: know what points to consider and how organizations usually deal with CVs. Sit down and think about your future career. Where do you see yourself in five years? 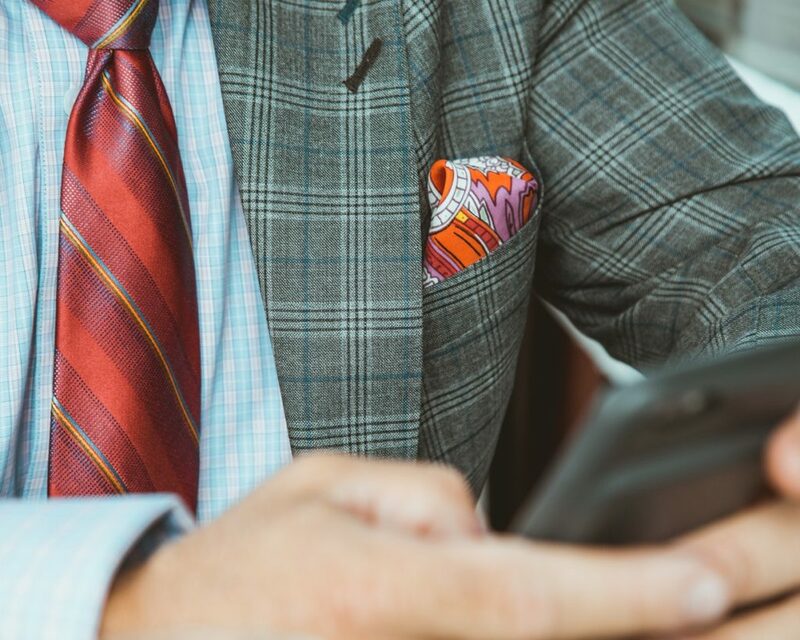 This is a common question that is frequently asked during interviews and should be answered long before you will get into the interviewee seat. Take a piece of paper and write down all your skills, qualifications, and interests. Think about the desired career path. Ask your relatives and friends about your strengths and weaknesses. You can get advice about skills you need to develop to fit a particular position. You can list those skills as the area of development in your future CV. Learn the job vacancy description. Try to understand who the organization is looking for. Every CV should be written for a certain job vacancy. You need to present your skills to fill all the gaps of the job position. Clean out your social media profiles. Update your profile on LinkedIn and other sources. Add portfolios, update photos, and add keywords related to your job. Make sure that you have no provocative content on your pages. Or, you can just turn your privacy settings on, so the recruiter won’t have access to your online profiles. Meet with key people and attend workshops. At university and online you can find people that can provide help with the job search. You can improve your networking and CV writing skills, know what common questions are asked during interviews, and learn how to stand out among other candidates. These preliminary activities will give you more confidence and additional information that will help you to create a winning CV. Before starting to write a CV, you need to understand how to structure a CV. Usually, a CV consists of standardized blocks. Such blocks like experience and education can be listed vice-versa. Choose the priority of the blocks referring to the vacancy requirements. For example, if you need to write an academic CV, make sure that you have paid enough attention to the education block. Hobbies and interests are optional and can be excluded from the list if your activities don’t refer to the job position you are applying to. References are usually listed at the end. Write your name, email, and phone number at the top of the paper. Use a larger size for your name to let the reader know who this CV is about. Also, it is advisable to leave a link to your LinkedIn profile and other relevant websites. This block is very important, so make sure that the information is correct and can be easily distinguished from the text of your CV. Use clear headings so the recruiter can easily find necessary information. 2. Professional experience and volunteering. In this block, list all your past work positions in the reverse chronological order. Write the names of companies and your positions. Using action words briefly, tell about your job duties and list only the most important experience that can be useful for your potential new job. Focus only on those skills and responsibilities that can be connected to a prospective job. Use bullet points and space to create easy-to-read lists of your responsibilities and skills. List the time frames within a position. Consider the fact: employees that frequently jump from one workplace to another won’t be treated as reliable candidates. Therefore, if you have changed too many jobs over the past year, tell about the pair of the most important. If you have volunteering experience, list it at the end of this block. Make sure to list the skills gained during volunteering that will be beneficial for the company. Pay attention that you should give the most attention to education which is relevant to the job you are applying for. List information about your education starting with college or university. State your academic degree if you have one. Also, don’t forget to tell about additional education like courses, online education, and internships which gave you appropriate experience. List the skills that you have acquired during your professional activities. Don’t forget to tell about computational skills, an advanced driver’s license, communication, and time-management skills. Support the list with evidence and tell how it will be beneficial for your employer. If you are applying for an academic position, list your fellowships and grants, lectures, published works, conferences you have attended, etc. Mention if you have won a specific competition or award – many recruiters pay additional attention to this information. Add explanations for why you think that this award or scholarship is important for you. Commonly, companies don’t require references before the interview. But if you need to, consider one referee from an academic field and one from your current job. The best references will be your mentor from college and manager or colleagues from your current job. Don’t ask your friends or relatives to become your references, as it would be a mistake. Also, don’t forget to ask permission of the person to add him or her to your reference list. The best CVs are a combination of text, structure, and design. In a professional CV every word has its own place and every space is well thought out. There is nothing worse than an unstructured CV that is hard to read. Consider the following fact: you will probably spend half of the time on formatting and designing your CV. As soon as you are pleased with your text, proceed to formatting. Choose a font that is easy to read and pleasing to the eye. Make sure that the line spacing doesn’t differ from line to line, and the text alignment is the same. Generally speaking, create a universal format that won’t irritate the reader’s eye. Include some details like font color or interesting icons to make your CV stand out from the crowd of other CVs. Several accents and separators can give the CV a more professional look. But don’t overdo it. Too many details or pictures of kittens or unicorns won’t look good, unless your desired job is connected with creativity and you believe that the recruiter will possibly appreciate such a design. When it will seem that the resume is ready, set it aside for a couple of days, and then carefully reread. Most likely, you will find a couple of typos and mistakes that you couldn’t have seen before. Make sure that the text looks good and everything fits together as a whole. Print out your CV and see how it will look in reality. Make sure that everything looks good. If you are planning to submit your CV via e-mail, make sure that you have chosen an appropriate format for the file and given an appropriate file name. For submitting the file on the employer’s site or job website, you will need to read the requirements on the site. The most commonly used files are PDF and Word documents. If you have put a lot of effort in creating the design of your CV, save it in PDF format. Always contact the recruiter to figure out what type of file is better to use for submitting the CV electronically. If you will be sending a CV via email, make sure that you have filled in the subject line. Pay attention: if you make a mistake in the email, it could be immediately moved to spam or trash. Indicate the title of the vacancy you are applying to in the subject line. An empty subject line may confuse a recruiter that receives hundreds of emails every day. Write a short message in the body of your email. There are no concrete rules for the content, as it’s just a gesture of respect. Start the message with greetings, mentioning the name of the recruiter. Today it’s easy to find out the recruiter’s name in the job description, on LinkedIn, or on the company’s website. Then briefly state that you are interested in a certain vacancy and think that you are an ideal candidate for this position. Be positive and polite. Don’t forget to use a closing phrase at the end of the email. It is always better to learn from example to understand how to write a professional CV. You may feel overwhelmed with information from our guide, and to make a little break, take a look at this sample of a good CV written by our expert. The illustration below will suit those who are just starting their career. It is clearly written, well structured, and good looking. Read the comments and recommendations that will help you better understand the peculiarities of composing a CV. This sample includes summary, list of professional skills, work experience, education, and additional skills. You can use it as an example to follow or a template for your future CV. Don’t forget to check the best CV samples available on our site for more ideas. Think about the moments that can strengthen your CV in advance. Don’t include a photo, information about your gender, marital status, etc. Spend some time for learning more about the prospective company. Such information will help you list important points in your CV and find topics that will be useful in a future interview. Write about the most important points at the very beginning of your CV. Recruiters usually have no time to read every single sentence of your CV. Find synonyms for complex words. Don’t use professional terms or slang. Use the keywords in accordance with your skills and competencies. Browse the company’s website and lists of keywords that are worth including in your CV or resume. Take as a rule: a sentence should be no more than a line. This will guarantee that the reader will understand what you want to say. 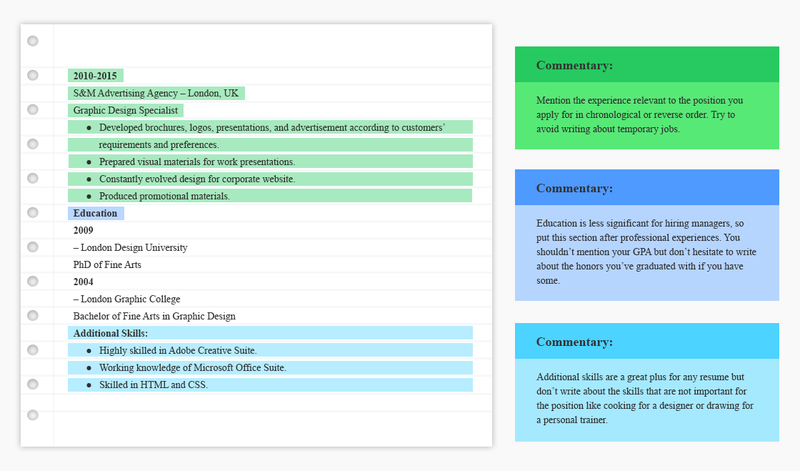 Use templates and find the best structure for your CV. This will help you organize the text in the most suitable way and let the recruiter quickly find needed information. Update the existing CV from time to time. Add new skills and experience so you can see where you can move further. So, if you have just completed a new project or have won an award, don’t hesitate to include it in your CV. Mistakes in the text. Any typo or spelling error may sound for your prospective employer as carelessness and disrespect for the company. You will look especially weird if you are claiming that you are attentive to details in your CV and at the same time have made mistakes in the text of your CV. Wrong format. Every single detail of your CV matters. Use the right font (readable and professional) and make your text well organized. Listing all your previous jobs. This mistake can be common both for a resume and CV. Don’t list the jobs that cannot be related to the position you are applying for. The recruiter won’t be interested in your work as a waiter when you are applying for the position of accountant. Overloading with unnecessary information. Don’t list your date of birth, gender, date of marriage, and all your hobbies and activities. Not answering the questions and skipping the instructions stated in the text of the vacancy. Always make sure that you have considered all requirements stated by the employer about the CV. Copying an already existing CV from the internet. You have a unique personality and your CV should also be unique. Follow the examples and use the templates and design, but don’t copy the text of another person’s CV – it is unprofessional. We know that it’s rather difficult to understand all peculiarities on how to write a resume for a job. Below you can read the most frequently asked questions and answers connected to writing a CV and resume. Q: What if I don’t know what job I want? A: To write a good CV you need to find the desired vacancy. If you don’t know what job to choose, complete several career tests. If this won’t help, take a piece of paper and plan a session of self-reflection. That means that you need to list all your skills and experiences, and understand what path to choose. Q: Where can I get the experience? A: To put your foot in the door, you have several ways to gain experience: internships, volunteering, freelance jobs, and networking. If you know what kind of job you want to do or the desired industry, you can make little steps towards your dream job. Q: What to do if I have a career break? A: Recruiters are usually suspicious about any empty periods of time in your career. Gaps like a week or several months won’t catch the recruiter’s eye, but a year will surely do. If you went for volunteering or traveling, it would be good to mention it in your CV. For cases like taking care of a sick relative or recovering from serious illness, it would be better not to mention. But be ready to answer the question about your break in the interview. Q: What if I have decided to change my career orientation? A: If you have solid experience in a certain field you can highlight the responsibilities related to the new job. For example, if you want to become a marketing specialist, highlight marketing responsibilities in your previous works if possible. Also, you can use the CV’s functional structure to focus more on your skills and achievements. Accompany your CV with a cover letter to explain your attempts to change the career and tell how your candidacy can benefit the company. Q: Should I include a photo in my CV? A: The answer depends on what sphere you are planning to work in. If it’s healthcare or economics, don’t include your photo as it may be considered unprofessional. While for more creative jobs, especially where it’s common to add photos in a CV – include the photo as it will help the recruiter remember you. Q: Do I need to demonstrate knowledge of languages? A: If in the job descriptions there is a requirement for a certain language, list it in the skills block or earlier. State the level of fluency and the way you have used the language (e.g. communicating with customers, writing emails or reports, etc). Q: What if my work was a routine and I can’t list any achievements? A: Concentrate on those activities that you have done completely ideally. Show that you are a diligent and goal-oriented candidate. Q: What if my grammar is bad? A: Always use a spell check program to make sure that your text has no errors. As an option, ask a friend with good proofreading skills to check what you have written. Q: Should I write a cover letter? A: It depends on the requirements from your prospective employer. 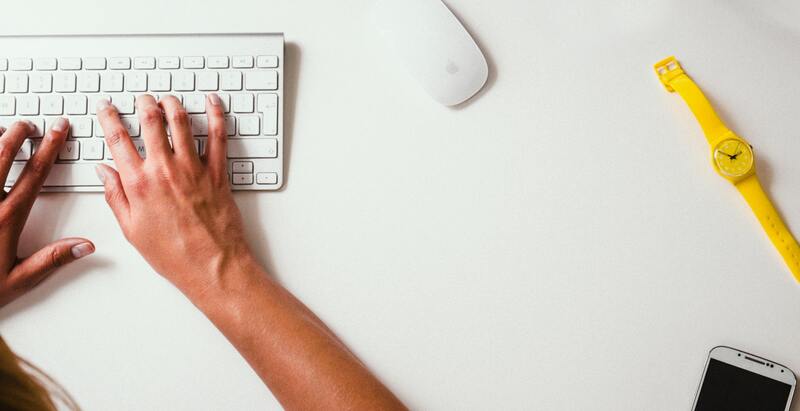 If you think that your CV is insufficient, you can add a short cover letter as a separate page at the end of the CV or write it in the body of your email. When you will feel that you have written all you wanted in your CV, use this checklist to be sure that you have considered all necessary details in your writing. Good research has been conducted about the company. Spelling, punctuation, and grammar are correct. Make sure that you have used a spell checker and have read your text several times. One mistake may become a disaster. All names, abbreviations, and titles are written correctly. Pay extra attention to the names of roads, names of companies, titles, etc. The text is written in a positive manner using active voice. Don’t use clichés. The CV has a professional look and an eye-friendly layout. Make sure that you have picked the right format and length for your CV. The text is easy to read and it has enough space at the end so the recruiter can make marks on the printed version. The information is well organized (from the most important to least important). Make sure that the information is organized in such a way that the reader can easily find necessary information. All lists are designed with bullets like circles or squares. Long lists are organized in columns. No more than two fonts are used in your text. Your text will look messy if you have chosen many fonts or the readability of the font is poor. Larger fonts are used for subheadings. Important points are in bold or italicized. Listed your personal details (your name, email) at the top of your CV. Make sure that the recruiter can easily contact you for inviting you to the interview. Your email is professional looking (e.g. name.surname@gmail.com). You have described the key responsibilities, tasks, and skills gained in a certain workplace. All mentioned skills are carefully picked for the particular vacancy and correspond with the requirements in the vacancy description. Mention additional skills like driver’s license, language, computer skills, etc. You have listed several references (if required in the vacancy description). You have answered the asked questions from the recruiter listed in the job description. All necessary instructions provided by the employer (recruiter) have been followed. Writing a CV is a great challenge for every person. Unfortunately, there is no single recipe to create an outstanding CV or resume to get a dream job. To create a perfect CV, you will need some practice. Follow our advice and try to create not one, but two or three CVs. You will feel that every CV gets better and better. Hopefully, our article has clearly explained how to write a professional CV and you are already on the path to creating the best CV ever. We wish you luck!